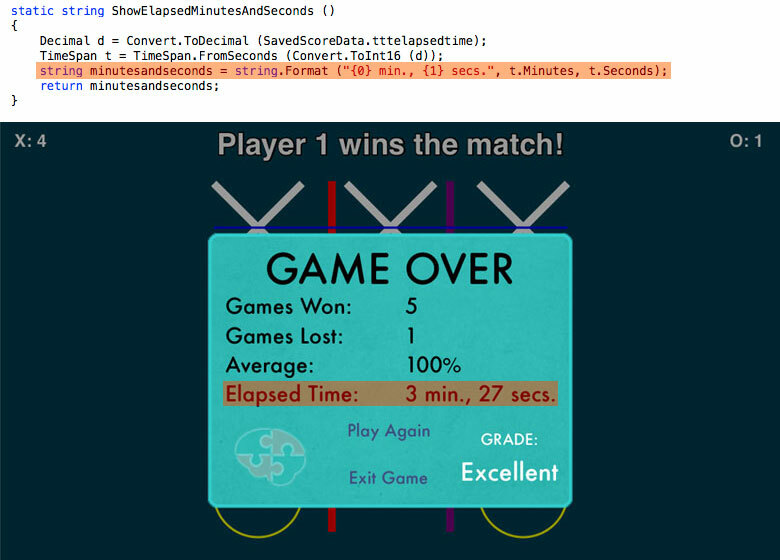 My method ShowElapsedMinutesAndSeconds () does just what its namesake suggests. 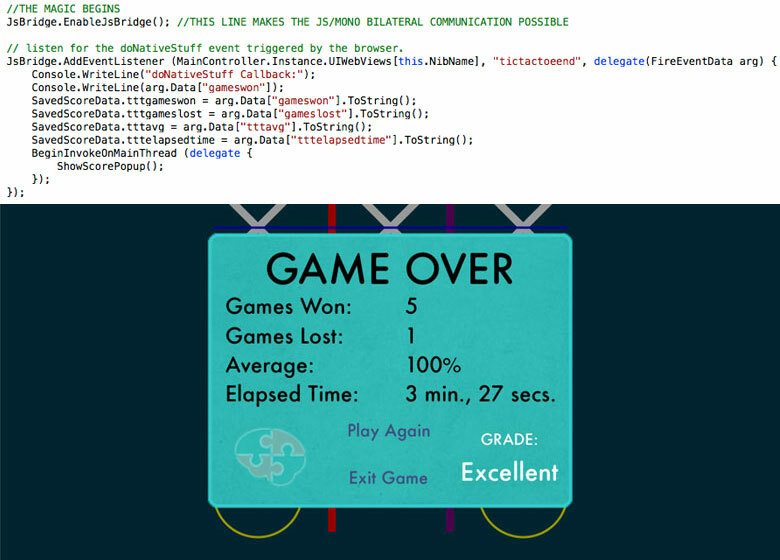 First, it takes the session's elapsed time from the game and saves it as a Decimal "d" variable. I then take "d" and turn convert it into a concatenated string, using its Minutes and Seconds properties. 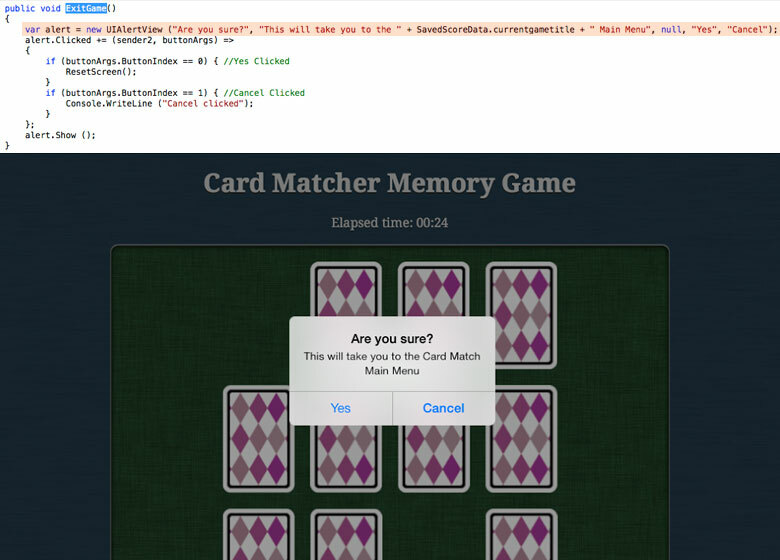 The third image shows the Xamarin C# code needed to display an iOS popup screen with custom text and allows you to change what happens when you click on either the positive or negative value.